I’m not someone who normally finds the time to bake, but when I moved into my new team in work at the end of last year I knew I had to get involved in their ‘Cake Club’. Basically, every Friday at 10 am the whole office gathers round and scoffs yummy baked goods prepared by 3 members of the club. Anything is acceptable as long as its home made, from pizza, pastries, cupcakes through to full on chocolate cakes! It’s been a great way to get to know some of my new colleagues. While the standard is pretty high and an edge of competition occasionally creeps in (mainly between the guys, who are very talented and enthusiastic bakers), the entries always receive lots of praise. This particular week I had a hair appointment on Thursday evening so I knew I had to be organised. 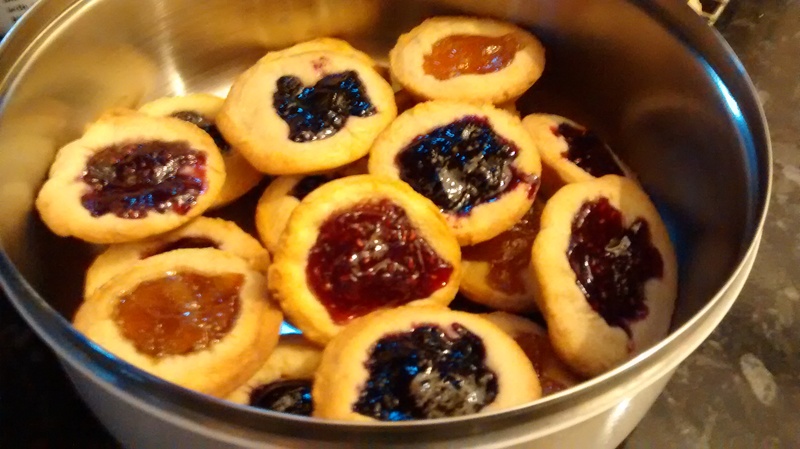 I decided to bake these Rainbow Jam Tarts, a Jaime Oliver recipe. I made the pastry on Wednesday night and I think I put a little bit more than a ‘splash’ of milk in. I put it in the fridge and hoped for the best, but to be on the safe side I picked up a batch of ready rolled pastry from the supermarket the next day. Luckily my pastry turned out fine and here they are! 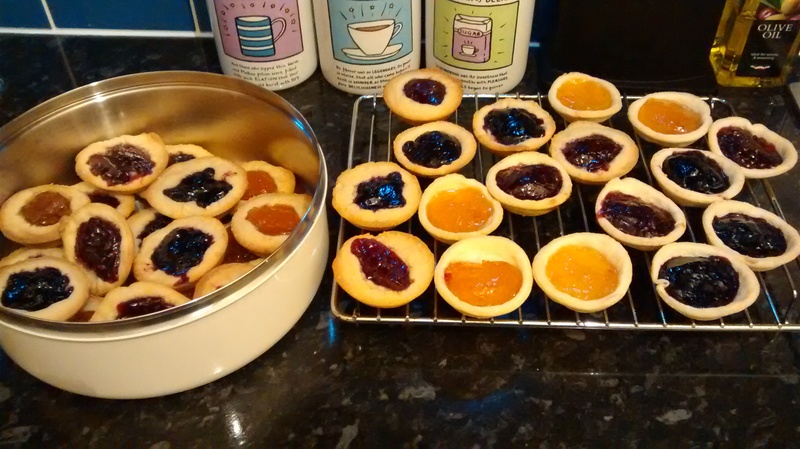 They aren’t the tidiest or prettiest jam tarts in the world – I don’t have any pastry cutters so I just used a pint glass. Also, having not made jam tarts for years, I didn’t roll the pastry thinly enough so they were pretty heavy duty tarts! As for the fillings, I used raspberry, blackcurrant and apricot jam. I also had some Marula Marmalade (a present from South Africa) in the cupboard so I popped some of that in too. Do you regularly consume cake at work or have you been introduced to baking in any other ways? Ah- what a lovely, tasty treat!